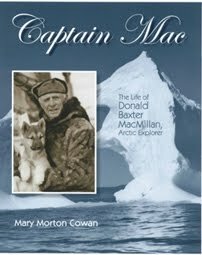 Author Mary Morton Cowan visits the life of veteran Arctic explorer, anthropologist, scientist, and Naval officer Donald Baxter MacMillan in this fast-paced biography that would be ideal for either school reports or pleasure reading. Although I have read several books as well as seen films and documentaries about Shackleton and his Antarctic explorations, this was my first book about exploring the Arctic. When I read about great explorers like MacMillan or others, I am always struck by what seems to me the existence of an "explorer gene,"people whose personalities make them never content with a quiet life at home, but always craving the excitement of exploring dangerous places. 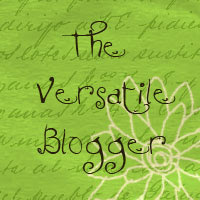 Some of us, on the other hand, prefer to curl up and read about such adventures! Born in 1874, MacMillan seemed to come into the world with the urge for adventure--his father was a sea captain, and he dreamed from an early age of a life at sea. He was especially fascinated with tales told by sailors he met of the wonders of the massive icebergs in the Arctic, and the quest to find the North Pole, and also devoured any books he could find about the Arctic. When he was orphaned at 11 years old, MacMillan did not abandon his dreams, working hard in high school and eventually enrolling at Bowdoin College (which then cost an enormous fee of $200 a year!) Money was a constant struggle, since he had to pay his own way. How was he ever going to get to the Arctic? By chance MacMillan meets Robert Peary, the famous Arctic explorer, and tells him of his dreams of traveling to the Arctic, and a few years later, MacMillan, now a young teacher, was invited to join Peary's team. This was the first of more than twenty-five expeditions he took part in to the Arctic--eighteen of these as captain of his own custom-built ship, Bowdoin--over a fifty year period. There would have undoubtedly been even more had two world wars not intervened, making exploration impossible during those periods. Among his many accomplishments was pioneering the use of radio and aircraft in the Arctic, as well as writing a dictionary of the native language and contributing greatly to the cultural understanding of the native people of the area. Moreover, MacMillan lectured extensively, acquainting Americans around the country with Northern peoples' cultures through the movies and photos he took on his many expedition. This well-researched and handsomely illustrated biography relies extensively on primary sources, including MacMillan's many journals, books, writings, and personal photographs. The author keeps the narrative exciting by including lots of fascinating anecdotes, such as encounters with walrus herds or how MacMillan brought an orphaned baby polar bear into the lodge as a pet (until the polar bear quickly grew too big, and was released). The book features numerous appendices, among them highlights of MacMillan's expeditions, major awards and recognition, an author's note about how she witnessed MacMillan setting off for one of his expeditions as a young girl, a selected bibliography on MacMillan, and additional resources for young people on Arctic exploration, including on-line sources. The Snow Baby: The Arctic Childhood of Admiral Robert E. Peary's Daring Daughter by Katherine Kirkpatrick (Holiday House, 2009).